State governments facing massive fiscal deficits might consider a rather unusual way to alleviate those debts – through the legalization of drugs like marijuana and thereby ending the costly drug war. In a study for the Cato Institute, Jeffrey A. Miron, senior lecturer on economics at Harvard University and a senior fellow at Cato, and Katherine Waldock, professor of economics at New York University, estimate that legalizing drugs would save the government approximately $41.3 billion annually on expenditures related to the enforcement of prohibition. Of those savings, $25.7 billion would accrue to state and local governments, while $15.6 billion would accrue to the federal government. Miron and Waldock estimate that of that $41.3 billion in savings, about $8.7 billion would result from the legalization of marijuana alone and $32.6 billion from the legalization of other drugs, like cocaine and heroin. Just as important, drug legalization would translate into higher tax revenues generated by the sale of these newly-legalized products in the open commercial marketplace. Drug legalization would yield tax revenues of $46.7 billion annually, assuming legal drugs were taxed at rates comparable to those on alcohol and tobacco, they said. Approximately $8.7 billion of this revenue would result from the legalization of marijuana, $32.6 billion from legalization of cocaine and heroin, and $5.5 billion from legalization of all other drugs. “Legalization would reduce state and federal deficits by eliminating expenditure on prohibition enforcement -- arrests, prosecutions, and incarceration -- and by allowing governments to collect tax revenue on legalized sales,” Miron and Waldock wrote. 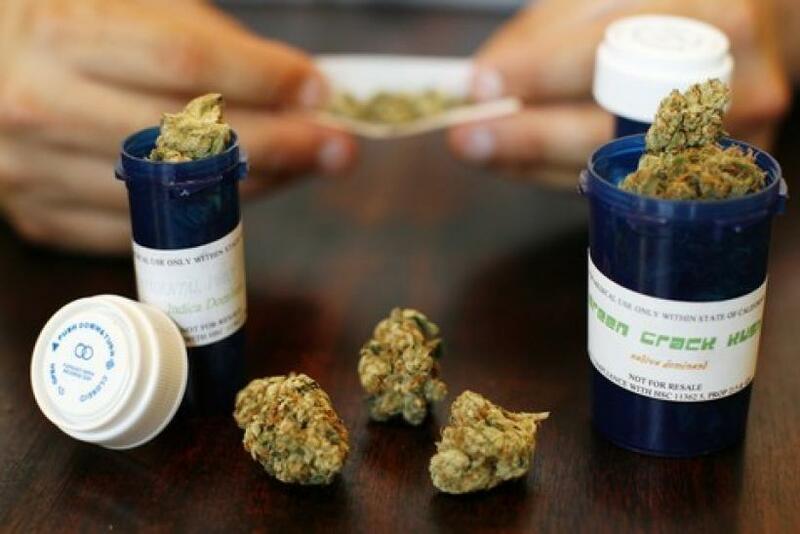 Marijuana is already believed to be the nation's number one cash crop, exceeding the combined value of wheat and corn. Pot is also the leading cash crop in at least a dozen states, including California and North Carolina. Indeed, the potential financial gains to be realized through the legalization of drugs would be of particular interest to the state of California, which not only teems with thousands of (illegal) marijuana growers, but whose state government also faces a budget shortfall of nearly $20-billion for fiscal 2011. In fact, this November, California voters will consider a ballot initiative – Proposition 19 – to legalize marijuana in the state (in 1996, California had passed a law to legalize medical marijuana). According to press reports, supporters of the California initiative estimate that about $15-billion worth of marijuana is sold every year in the state – thus, an excise tax on the retail sales of marijuana would likely raise at least $1.3 billion a year in revenue. “Should the California measure pass and generate the [expected] budgetary savings, other states would likely follow suit,” Miron and Waldock said. They also indicate that legalization would produce far more cost savings than mere “decriminalization” which would entail repealing criminal penalties against simple possession, but retaining them against such acts as drug smuggling and selling. The budgetary implications of legalization would exceed those of decriminalization for three reasons, Miron and Waldock stated. For state and local governments, savings would result from: the reduction of expenditures of police resources by eliminating drug arrests (thereby freeing police to chase after more dangerous and violent criminals); the reduction in prosecutorial and judicial resources by eliminating drug-related prosecutions; and the reduction in correctional resources by eliminating drug-related incarcerations, Miron added. Miron and Waldock also estimate that in 2008, states across the country spent a total of $25.7-billion on drug prohibition (net of seizures and fines). California by itself spent an astounding $5.4-billion (one-fifth of the national total) that year. rendering legalization a danger to public safety, offsetting the potential economic gains. For example, The California Peace Officers Association, among many others, have criticized the initiative. The last thing we need is yet another mind-altering substance to be legalized, says John Lovell, a lobbyist for the California Peace Officers' Association, told Time Magazine. We have enough problems with alcohol and abuse of pharmaceutical products. Do we really need to add yet another mind-altering substance to the array? The California Chamber of Commerce has also expressed its opposition to the legalization of marijuana, citing that drug users will not be able to perform at work and that passage could create a new class of protected California citizens. Two prominent California public figures, Senator Dianne Feinstein and Los Angeles County Sheriff Lee Baca, have lined up against Proposition 19. California will not see a single positive result if Proposition 19 passes, Feinstein said in a statement. However, Mike Meno, director of communications, Marijuana Policy Project, a legalization advocacy group in Washington DC, counters that ending prohibition would provide a major boost to law enforcement efforts. “Mexican drug cartels, which are gaining power, currently generate about 60 percent of their revenue by selling marijuana in the U.S, giving them a virtual monopoly on this very lucrative trade,” he said. Since 2006, about 30,000 people have been killed in Mexico's drug wars, which has now spilled over the border and exacerbates the illegal immigration problem, Meno said. “In the 1920s, alcohol prohibition gave us Al Capone; now, marijuana prohibition gave us Mexican drug cartels,” he added. Meno noted however that proponents of drug legalization in California are not necessarily seeking to imitate the Amsterdam, Holland model. Other opponents of drug legalization cite health and social concerns. The Rand Corp. said it believes that marijuana use could double in California if legalization passes due to dramatically reduced prices and increased social acceptance – which, in turn, might increase various health risks, including increased heart rate, anxiety as well as incidents of drug-impaired driving. Alexandra Datig, a political activist, business consultant and prominent opponent to drug legalization, said: We must not allow the marijuana activists to sell us on the idea that intoxicating California with marijuana is somehow going to help our productivity, make our schools safer, our communities stronger and our lives healthier. Indeed, many anti-legalization advocates say that use of marijuana often leads young people to experiment with harder drugs. Moreover, according to federal laws, marijuana remains an illegal “Schedule I” narcotic, which is considered to have “no valid medical use.” Thus, it's not clear if legalization in California would necessarily supersede Federal authority in the investigation/prosecution of drug-related crimes. Meno points out that with respect to medical marijuana (which is legal in fourteen states and D.C., but illegal on federal levels), he hopes the federal government will defer to state laws and not intervene. One of the perhaps unexpected opponents of the initiative are some marijuana growers themselves who worry that legalization will hurt the quality of marijuana available to the public and hurt the nascent marijuana industry that already exists in California. In northern California, the counties of Humboldt, Mendocino and Trinity form what is called the “Emerald Triangle” -- here marijuana farms are widespread and have even become something of a tourist attraction (not unlike the wineries in nearby Napa Valley). A significant portion of the local economy of the Emerald Triangle is already connected to marijuana, which generates about a $500-million in untaxed income every year, according to Beth Wilson, professor of economics at Humboldt State University. Growers in this area worry that legalized pot will reduce the value of their cash crop – placing the region's economy at some risk. In addition, they fear that legalization might result in large corporations – perhaps big tobacco or large agribusinesses -- taking over the market, driving out the small-scale growers. Ironically, the legalization of marijuana might actually hurt most those who depend on it for their current livelihood and espouse its consumption. The battle over Proposition 19 will apparently be very close, according to polls.